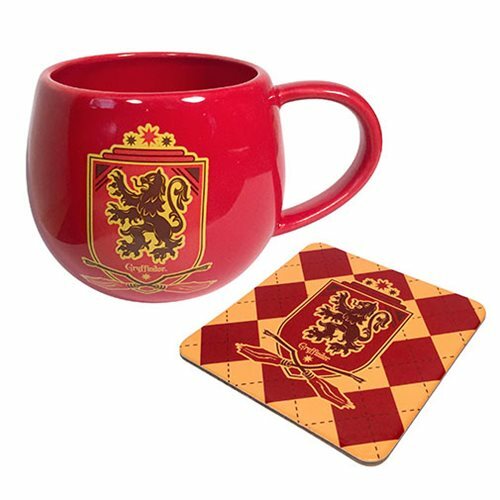 Harry Potter fans can show off their fandom and enjoy a cup of their favorite beverage with this Harry Potter Red Gryffinder Crest 12 oz. Mug and Coaster Set. This set makes a great gift for fans of JK Rowling's Wizarding World! Hand wash only. Not dishwasher safe. Do not microwave.